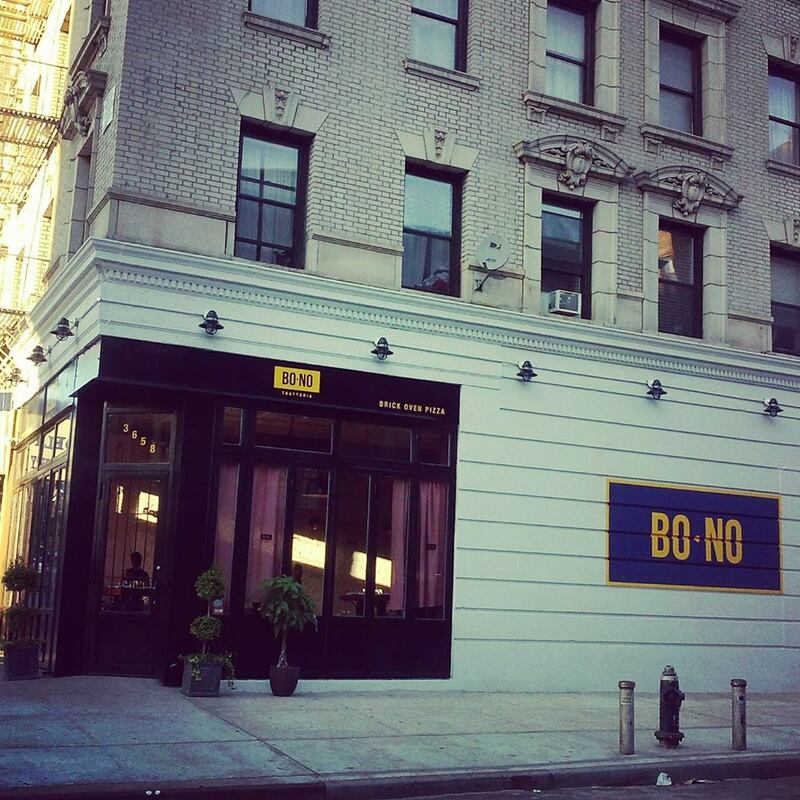 Having just opened on July 24th at the corner of 151st and Broadway, Bono Trattoria already has a sound following. With swanky decor visible through its large glass windows and brick oven pizza celebrated on the sign, excitement built over this Italian establishment before opening day. A room mate and myself decided to check it out on a whim this past Friday. 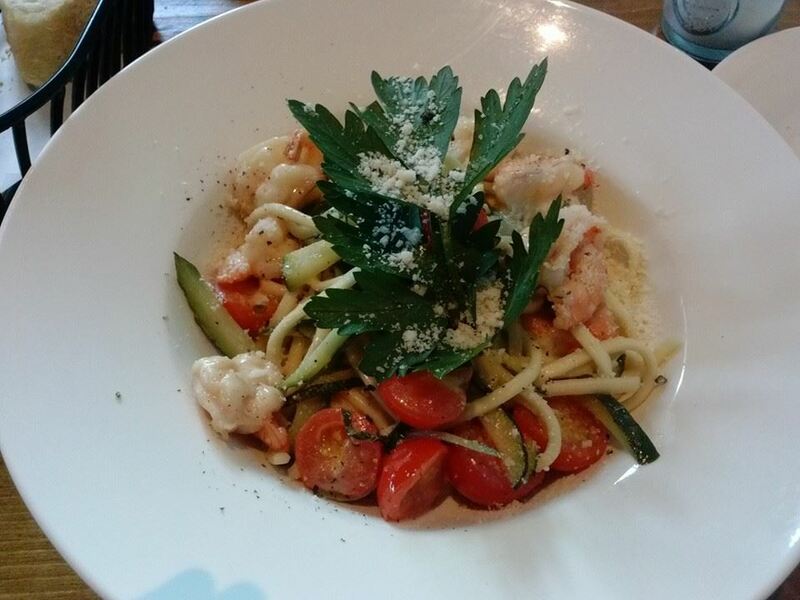 After attempting to decide among the pizzas, I went with my gut feeling and ordered the strangozzi, shrimp with linguini, zucchini, and garlic. The added Parmesan was my own requested touch. 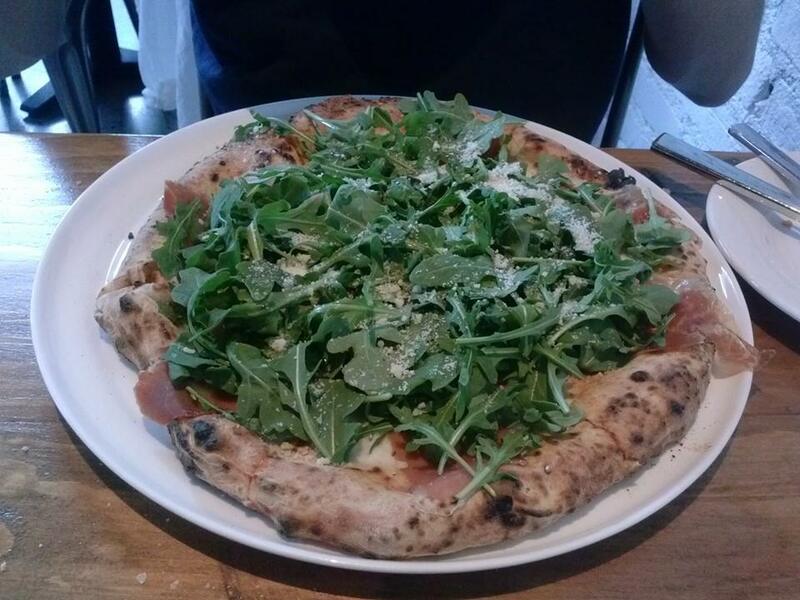 My companion ordered the Parma pizza, topped with prosciutto and baby arugula. The portions were satisfyingly manageable and the prices easily affordable (about $13 per entree). 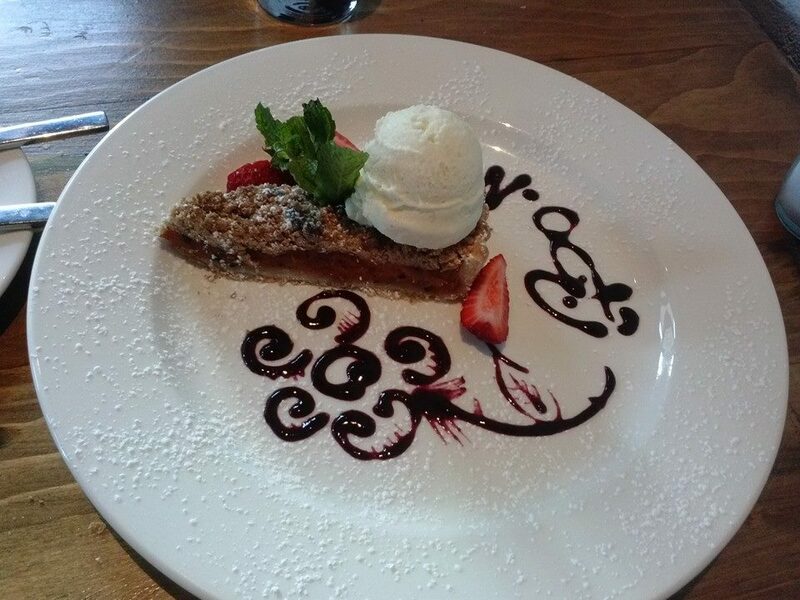 Naturally, we had to give the dessert menu a try. Both the tiramisu and the apricot peach tart piqued my interest but at the waitress’s helpful tip that they offered the tiramisu everyday, I ordered the tart. Sliced as if a piece of pie paired with a delicious vanilla gelato, it was neither too sweet nor lacking flavor. The fruit was charred with lines from the grill and complimented with a raspberry drizzle in a whimsical swirl. The pizza menu alone warrants many return visits with a Monday to Friday happy hour being an added bonus.